CARFAX 1-Owner, GREAT MILES 14,500! PRICED TO MOVE $500 below NADA Retail!, FUEL EFFICIENT 23 MPG Hwy/17 MPG City! Heated/Cooled Leather Seats, Moonroof, Navigation, Heated Rear Seat, 4x4, Turbo Charged, ENGINE: 3.5L V6 ECOBOOST SEE MORE!KEY FEATURES INCLUDELeather Seats, Navigation, Heated Driver Seat, Heated Rear Seat, Cooled Driver Seat MP3 Player, 4x4, Keyless Entry, Privacy Glass, Steering Wheel Controls.OPTION PACKAGESEQUIPMENT GROUP 601A LUXURY Inflatable Rear Safety Belts, Multi-Contour Driver & Passenger Seats, Active Motion, Blind Spot Information System (BLIS), cross-traffic alert and trailer tow monitoring (BLIS sensor in LED taillamp), Tailgate Step w/Tailgate Lift Assist, Power-Deployable Running Boards Replaces step bar, Wheels: 20 Machined-Aluminum, light Caribou painted pockets and Caribou wheel ornament w/Caribou King Ranch logo, Tires: P275/55R20 OWL Automatic Transmission, 275/65R18 OWL all-terrain spare tire, KING RANCH CHROME APPEARANCE PACKAGE 2 chrome front tow hooks and tailgate applique, Chrome Skull Caps on Exterior Mirrors, Wheels: 20 Chrome-Like PVD, Caribou wheel ornaments w/King Ranch logo, Chrome Front & Rear Bumpers, Tires: P275/55R20 OWL Automatic Transmission, 275/65R18 OWL all-terrain spare tire, Chrome Door Handles w/Body-Color Strap, Bright Belt Moldings, TECHNOLOGY PACKAGE Lane-Keeping System, 360 camera w/split-view display and dynamic hitch assist, Active Park Assist, TWIN PANEL MOONROOF, ADAPTIVE CRUISE CONTROL stop-and-go and pre-collision assist w/pedestrian detection, ENGINE: 3.5L V6 ECOBOOST auto start-stop technology, GVWR: 6,750 lbs Payload PackageEXCELLENT VALUECARFAX 1-Owner This F-150 is priced $500 below NADA Retail.Pricing analysis performed on 4/18/2019. Horsepower calculations based on trim engine configuration. Fuel economy calculations based on original manufacturer data for trim engine configuration. Please confirm the accuracy of the included equipment by calling us prior to purchase. CARFAX 1-Owner. FUEL EFFICIENT 22 MPG Hwy/16 MPG City! Sunroof, Heated Leather Seats, NAV, Alloy Wheels, Satellite Radio, Running Boards, Turbo, Premium Sound System, Heated Rear Seat, 4x4, MAX TRAILER TOW PACKAGE CLICK NOW!KEY FEATURES INCLUDENavigation, Heated Rear Seat, Running Boards, Premium Sound System, Satellite Radio, iPod/MP3 Input, Bluetooth, Remote Engine Start, Dual Zone A/C, WiFi Hotspot, Smart Device Integration, Cross-Traffic Alert, Blind Spot Monitor MP3 Player, 4x4, Aluminum Wheels, Privacy Glass, Keyless Entry.OPTION PACKAGESEQUIPMENT GROUP 701A LUXURY Adaptive Cruise Control & Collision Warning, brake support, Technology Package, Lane-Keeping System, 360 camera w/split-view display and dynamic hitch assist, Tailgate Step w/Tailgate Lift Assist, TWIN PANEL MOONROOF, MAX TRAILER TOW PACKAGE max towing capability up to 12,200 lbs, and upgraded rear bumper, Note: Ordering the Max Trailer Tow Package does not include Trailer Tow Mirrors, Trailer Tow Mirrors are a standalone option and must be ordered separately, (Option Code: 54M or 54Y/59S), Auxiliary Transmission Oil Cooler, Pro Trailer Backup Assist, Electronic Locking w/3.55 Axle Ratio, Engine Oil Cooler, Upgraded Front Stabilizer Bar, Extended Range 36 Gallon Fuel Tank, TRANSMISSION: ELECTRONIC 10-SPEED AUTOMATIC tow/haul mode and sport mode, ENGINE: 3.5L V6 ECOBOOST auto start/stop, ACTIVE PARK ASSIST, BLACK, BLACK UNIQUE MULTI-CONTOUR LEATHER BUCKET SEATS 4-way adjustable driver/passenger headrests, heated and cooled 10-way power driver and passenger w/power lumbar, memory driver's seat, flow-through console and floor shifter. Approx. Original Base Sticker Price: $57,100*.PURCHASE WITH CONFIDENCECARFAX 1-OwnerPricing analysis performed on 4/4/2019. Horsepower calculations based on trim engine configuration. Fuel economy calculations based on original manufacturer data for trim engine configuration. Please confirm the accuracy of the included equipment by calling us prior to purchase. Ford Certified, CARFAX 1-Owner, ONLY 26,701 Miles! WAS $45,899, $5,900 below NADA Retail!, FUEL EFFICIENT 21 MPG Hwy/15 MPG City! Nav System, Moonroof, Heated Leather Seats, Turbo Charged Engine, Aluminum Wheels, Running Boards SEE MORE!KEY FEATURES INCLUDENavigation, Heated Rear Seat, Running Boards, Premium Sound System, Satellite Radio MP3 Player, 4x4, Aluminum Wheels, Privacy Glass, Keyless Entry.OPTION PACKAGESEQUIPMENT GROUP 701A LUXURY Adaptive Cruise Control & Collision Warning, brake support, Technology Package, Lane-Keeping System, 360 camera w/split-view display and dynamic hitch assist, Tailgate Step w/Tailgate Lift Assist, TWIN PANEL MOONROOF, ACTIVE PARK ASSIST, ENGINE: 3.5L V6 ECOBOOST, BLACK, BLACK UNIQUE MULTI-CONTOUR LEATHER BUCKET SEATS 4-way adjustable driver/passenger headrests, heated and cooled 10-way power (driver and passenger), memory (driver's side only), flow-through console and floor shifter. Ford Platinum with Tuxedo Black Metallic exterior and Black interior features a V6 Cylinder Engine with 365 HP at 5000 RPM*.EXPERTS RAVEEdmunds.com explains Everything in the interior is ergonomically designed in such a way that there's a padded armrest exactly where you'd want it Great Gas Mileage: 21 MPG Hwy.A GREAT TIME TO BUYWas $45,899. This F-150 is priced $5,900 below NADA Retail. Approx. Original Base Sticker Price: $55,000*.BUY WITH CONFIDENCE24-Hour Roadside Assistance, 12 months/12,000 miles Comprehensive Limited Warranty Coverage, Vehicle History Report, 7-Year/100,000-Mile Powertrain Limited Warranty, 172-Point Inspection and Reconditioning, 24-Hour Customer AssistanceWHO WE AREBaxter Ford West DodgePricing analysis performed on 4/16/2019. Horsepower calculations based on trim engine configuration. Fuel economy calculations based on original manufacturer data for trim engine configuration. Please confirm the accuracy of the included equipment by calling us prior to purchase. JUST REPRICED FROM $39,999, PRICED TO MOVE $3,000 below NADA Retail!, FUEL EFFICIENT 22 MPG Hwy/16 MPG City! CARFAX 1-Owner, ONLY 13,359 Miles! Heated Leather Seats, Back-Up Camera, 4x4, Satellite Radio, CD Player, Turbo Charged READ MORE!KEY FEATURES INCLUDEBack-Up Camera, Turbocharged, Satellite Radio, iPod/MP3 Input, CD Player. MP3 Player, 4x4, Keyless Entry, Privacy Glass, Steering Wheel Controls.OPTION PACKAGESLARIAT CHROME APPEARANCE PACKAGE 2 chrome front tow hooks, Chrome Skull Caps on Exterior Mirrors, Chrome Door & Tailgate Handles w/Body-Color Bezel, Chrome Angular Step Bars, Chrome 2-Bar Grille w/4 Minor Bars, painted silver surround and background mesh, Wheels: 18 Chrome-Like PVD, Single-Tip Chrome Exhaust, EQUIPMENT GROUP 501A MID Reverse Sensing System, Universal Garage Door Opener, Blind Spot Information System (BLIS), cross-traffic alert and trailer tow monitoring (BLIS sensor in LED taillamp), 110V/400W Outlet, Power Glass Sideview Mirr w/Body-Color Skull Caps, power-folding, heat, turn signal, memory and auto-dimming feature (driver's side), Remote Start System w/Remote Tailgate Release, LED Sideview Mirror Spotlights, high-intensity LED security approach lamps, ENGINE: 5.0L V8 auto start-stop technology and flex-fuel capability, 3.31 Axle Ratio, GVWR: 7,050 lbs Payload Package, BLACK, LEATHER-TRIMMED BUCKET SEATS 4-way adjustable driver/passenger headrests, heated and ventilated 10-way power driver and passenger w/power lumbar, memory driver's seat, flow through console w/floor shift and 2nd outlet in console when ordered w/110V/400W outlet (91V), TRANSMISSION: ELECTRONIC 10-SPEED AUTOMATIC selectable drive modes: normal/tow-haul/snow-wet/EcoSelect/sport (STD).Pricing analysis performed on 4/15/2019. Horsepower calculations based on trim engine configuration. Fuel economy calculations based on original manufacturer data for trim engine configuration. Please confirm the accuracy of the included equipment by calling us prior to purchase. CARFAX 1-Owner, Ford Certified, GREAT MILES 47,663! WAS $36,999, $2,800 below NADA Retail!, EPA 23 MPG Hwy/18 MPG City! Heated Leather Seats, NAV, 4x4, Back-Up Camera, WiFi Hotspot, Dual Zone A/C, Bluetooth, Turbo, Tow Hitch CLICK NOW!KEY FEATURES INCLUDEBack-Up Camera, Bluetooth, Trailer Hitch, Dual Zone A/C, WiFi Hotspot 4x4, Privacy Glass, Keyless Entry, Child Safety Locks, Steering Wheel Controls.OPTION PACKAGESEQUIPMENT GROUP 502A LUXURY Lariat Chrome Appearance Package, 2 chrome front tow hooks, Chrome Skull Caps on Exterior Mirrors, Chrome Door Handles w/Body-Color Bezel, Chrome Angular Step Bars, Chrome 3-Bar Style Grille w/Chrome Surround, chrome mesh insert, Wheels: 18 Chrome-Like PVD, Single-Tip Chrome Exhaust, Reverse Sensing System, Universal Garage Door Opener, Engine: 5.0L V8 FFV, 3.31 Axle Ratio, GVWR: 7,000 lbs Payload Package, Heated Steering Wheel, Quad Beam LED Headlamps & Taillamps, Blind Spot Information System (BLIS), cross-traffic alert sensor in taillamp, 110V/400W Outlet, 2nd Row Heated Seats, Power Glass Sideview Mirr w/Chrome Skull Caps Power-folding, Heated, turn signal, memory, auto-dimming feature(driver's side) and high-intensity LED security approach lamps, Radio: ELECTRONIC LOCKING W/3.31 AXLE RATIO, ENGINE: 3.5L V6 ECOBOOST 3.31 Axle Ratio, GVWR: 7,000 lbs Payload Package, MEDIUM LIGHT CAMEL, LEATHER-TRIMMED BUCKET SEATS 4-way adjustable driver/passenger headrests, heated and cooled 10-way power (driver and passenger), memory (driver's side only) and flow through console w/floor shift.AFFORDABLE TO OWNCARFAX 1-Owner 24-Hour Roadside Assistance , 12 months/12,000 miles Comprehensive Limited Warranty Coverage Reduced from $36,999.Pricing analysis performed on 4/20/2019. Horsepower calculations based on trim engine configuration. Fuel economy calculations based on original manufacturer data for trim engine configuration. Please confirm the accuracy of the included equipment by calling us prior to purchase. Ford Certified, CARFAX 1-Owner. JUST REPRICED FROM $37,899, PRICED TO MOVE $4,100 below NADA Retail!, EPA 21 MPG Hwy/15 MPG City! Navigation, Sunroof, Heated Leather Seats, Turbo Charged, 4x4, Running Boards, Back-Up Camera READ MORE!KEY FEATURES INCLUDENavigation, Heated Rear Seat, Back-Up Camera, Running Boards, Premium Sound System, Satellite Radio, iPod/MP3 Input, Bluetooth, Trailer Hitch, Remote Engine Start, Dual Zone A/C, WiFi Hotspot, Blind Spot Monitor, Cross-Traffic Alert. MP3 Player, 4x4, Aluminum Wheels, Privacy Glass, Keyless Entry.OPTION PACKAGESTWIN PANEL MOONROOF, MAX TRAILER TOW PACKAGE upgraded rear bumper, Auxiliary Transmission Oil Cooler, Electronic Locking w/3.55 Axle Ratio, Upgraded Front Stabilizer Bar, ENGINE: 3.5L V6 ECOBOOST, BLACK, BLACK UNIQUE MULTI-CONTOUR LEATHER BUCKET SEATS 4-way adjustable driver/passenger headrests, heated and cooled 10-way power (driver and passenger), memory (driver's side only), flow-through console and floor shifter. Ford Platinum with Tuxedo Black Metallic exterior and Black interior features a V6 Cylinder Engine with 365 HP at 5000 RPM*.EXPERTS REPORTEverything in the interior is ergonomically designed in such a way that there's a padded armrest exactly where you'd want it Great Gas Mileage: 21 MPG Hwy.AFFORDABLE TO OWNWas $37,899. This F-150 is priced $4,100 below NADA Retail. Approx. Original Base Sticker Price: $55,000*.SHOP WITH CONFIDENCE172-Point Inspection and Reconditioning, 24-Hour Roadside Assistance, 24-Hour Customer Assistance, 12 months/12,000 miles Comprehensive Limited Warranty Coverage, Rental Car Reimbursement, Vehicle History Report, 7-Year/100,000-Mile Powertrain Limited WarrantyPricing analysis performed on 4/17/2019. Horsepower calculations based on trim engine configuration. Fuel economy calculations based on original manufacturer data for trim engine configuration. Please confirm the accuracy of the included equipment by calling us prior to purchase. CARFAX 1-Owner, Ford Certified. JUST REPRICED FROM $37,489, $10,800 below NADA Retail!, EPA 22 MPG Hwy/16 MPG City! Navigation, Heated Leather Seats, Back-Up Camera, 4x4, Turbo Charged, Bluetooth, CD Player, Satellite Radio READ MORE!KEY FEATURES INCLUDEBack-Up Camera, Satellite Radio, iPod/MP3 Input, Bluetooth, CD Player, Dual Zone A/C, WiFi Hotspot, Smart Device Integration. MP3 Player, 4x4, Aluminum Wheels, Keyless Entry, Privacy Glass.OPTION PACKAGESLARIAT CHROME APPEARANCE PACKAGE 2 chrome front tow hooks, Chrome Skull Caps on Exterior Mirrors, Chrome Door & Tailgate Handles w/Body-Color Bezel, Chrome Angular Step Bars, Chrome 3-Bar Style Grille w/Chrome Surround, chrome mesh insert, Wheels: 18 Chrome-Like PVD, Single-Tip Chrome Exhaust, EQUIPMENT GROUP 501A MID Reverse Sensing System, Universal Garage Door Opener, Blind Spot Information System (BLIS), cross-traffic alert and trailer tow monitoring (BLIS sensor in LED taillamp), 110V/400W Outlet, Power Glass Sideview Mirr w/Body-Color Skull Caps, power-folding, heat, turn signal, memory and auto-dimming feature (driver's side), Remote Start System w/Remote Tailgate Release, LED Side-Mirror Spotlights, high-intensity LED security approach lamps, ENGINE: 3.5L V6 ECOBOOST auto start/stop, 3.31 Axle Ratio, GVWR: 7,000 lbs Payload Package, MAX TRAILER TOW PACKAGE max towing capability up to 12,200 lbs, and upgraded rear bumper, Note: Ordering the Max Trailer Tow Package does not include Trailer Tow Mirrors, Trailer Tow Mirrors are a standalone option and must be ordered separately, (Option Code: 54M or 54Y/59S), Auxiliary Transmission Oil Cooler, Integrated Trailer Brake Controller, Pro Trailer Backup Assist Reduced from $37,489.Pricing analysis performed on 4/13/2019. Horsepower calculations based on trim engine configuration. Fuel economy calculations based on original manufacturer data for trim engine configuration. Please confirm the accuracy of the included equipment by calling us prior to purchase. CARFAX 1-Owner, LOW MILES - 14,435! PRICE DROP FROM $33,996, $200 below NADA Retail!, EPA 24 MPG Hwy/19 MPG City! Hitch, ENGINE: 2.7L V6 ECOBOOST, Turbo Charged Engine, Back-Up Camera, 4x4, BLACK PLATFORM RUNNING BOARDS AND MORE!KEY FEATURES INCLUDEBack-Up Camera. 4x4, Child Safety Locks, Electronic Stability Control, Brake Assist, 4-Wheel ABS.OPTION PACKAGESEQUIPMENT GROUP 101A MID SYNC, enhanced voice recognition communications and entertainment system, 911 assist, 4.2 LCD display in center stack, Applink and 1 smart charging USB port, 4.2 Productivity Screen in Instrument Cluster, compass, XL Power Equipment Group, Power Glass Sideview Mirrors w/Black Skull Caps, manual-folding, Power Door Locks, flip key and integrated key transmitter keyless-entry (includes Autolock), Illuminated Entry, Power Front & Rear Windows, Perimeter Alarm, Power Tailgate Lock, MyKey, Radio: AM/FM Stereo/Single-CD Player, 6 speakers, Cruise Control, ENGINE: 2.7L V6 ECOBOOST auto start-stop technology, 3.55 Axle Ratio, GVWR: 6,600 lbs Payload Package, XL SPORT APPEARANCE PACKAGE Fog Lamps, Box Side Decals, Wheels: 17 Silver Painted Aluminum, Body-Color Front & Rear Bumpers, body-color front fascia, BLACK PLATFORM RUNNING BOARDS, CLASS IV TRAILER HITCH RECEIVER towing capability up to 5,000 lbs, on 3.3L V6 PFDI engine (99B) and 2.7L EcoBoost engine (99P) or up to 7,000 lbs, on 3.5L EcoBoost engine (99G) and 5.0L V8 engine (995), smart trailer tow connector and 4-pin/7-pin wiring harness, TRANSMISSION: ELECTRONIC 10-SPEED AUTOMATIC selectable drive modes: normal/tow-haul/snow-wet/EcoSelect/sport.AFFORDABLECARFAX 1-Owner Reduced from $33,996. This F-150 is priced $200 below NADA Retail.Pricing analysis performed on 4/11/2019. Horsepower calculations based on trim engine configuration. Fuel economy calculations based on original manufacturer data for trim engine configuration. Please confirm the accuracy of the included equipment by calling us prior to purchase. CARFAX 1-Owner, Ford Certified, GREAT MILES 30,285! JUST REPRICED FROM $33,411, FUEL EFFICIENT 23 MPG Hwy/17 MPG City! Tow Hitch, ENGINE: 2.7L V6 ECOBOOST, 4x4, Turbo, BLACK PLATFORM RUNNING BOARDS, EQUIPMENT GROUP 101A MID SEE MORE!KEY FEATURES INCLUDE4x4, Child Safety Locks, Electronic Stability Control, Brake Assist, 4-Wheel ABS.OPTION PACKAGESEQUIPMENT GROUP 101A MID 4.2 Productivity Screen in Instrument Cluster, compass, XL Power Equipment Group, Power Glass Sideview Mirrors w/Black Skull Caps, manual-folding, Power Door Locks, flip key and integrated key transmitter keyless-entry (includes Autolock), Illuminated Entry, Power Front & Rear Windows, Perimeter Alarm, Power Tailgate Lock, MyKey Owner controls feature, Radio: AM/FM Stereo/Single-CD Player, 6 speakers, SYNC, enhanced voice recognition communication and entertainment system, 911 assist, 4.2 LCD display in center stack, Applink and 1 smart charging USB port, DELETES auxiliary audio input jack, Cruise Control, STX APPEARANCE PACKAGE Fog Lamps, Rear Window Defroster, Wheels: 20 Machined-Aluminum, flash gray painted pockets, SYNC 3, enhanced voice recognition communications and entertainment system, 8 LCD capacitive touchscreen in center stack w/swipe capability, pinch-to-zoom capability included w/available voice-activated touchscreen navigation system, AppLink, 911 Assist, Apple CarPlay and Android Auto and 2 smart charging USB ports, Black Billet Style Grille w/Body-Color Surround, black mesh insert, Driver/Passenger Seat Back Map Pocket, Box Side Decal, STX Sport Box Decal, Manual Driver/Passenger Lumbar, Privacy Glass, Body-Color Front & Rear Bumpers, body-color front fascia, Tires: P275/55R20 BSW AT, 275/65R 18 OWL all-season/all-terrain spare tire Was $33,411.Pricing analysis performed on 4/17/2019. Fuel economy calculations based on original manufacturer data for trim engine configuration. Please confirm the accuracy of the included equipment by calling us prior to purchase. Lariat trim. CARFAX 1-Owner. Navigation, Heated Leather Seats, 4x4, Satellite Radio, CD Player, Bluetooth, iPod/MP3 Input, LARIAT CHROME PACKAGE, NAVIGATION, EQUIPMENT GROUP 501A MID, Turbo Charged, Trailer Hitch READ MORE!KEY FEATURES INCLUDELeather Seats, Heated Driver Seat, Satellite Radio, iPod/MP3 Input, Bluetooth, CD Player, Trailer Hitch, Dual Zone A/C, WiFi Hotspot, Heated Seats, Heated Leather Seats MP3 Player, 4x4, Keyless Entry, Privacy Glass, Steering Wheel Controls.OPTION PACKAGESLARIAT CHROME PACKAGE chrome front tow hooks and chrome mesh grille insert, Chrome Exhaust Tip, Body-Color Door Handles w/Chrome Strap, 6 Chrome Angular Step Bars, Wheels: 18 Chrome-Clad Aluminum, Heated Power Exterior Mirrors w/Memory, signal and chrome skull caps, EQUIPMENT GROUP 501A MID Lariat Plus Package, short visors w/covered illuminated mirrors, Reverse Sensing System, PowerFold Heated Side Mirrors w/Memory, external mirror mounted turn signal indicator and driver's side self-dimming function w/body-color skull caps, Universal Garage Door Opener, Rear View Camera, Remote Start System, Trailer Brake Controller, ENGINE: 3.5L V6 ECOBOOST GVWR: 7,200 lbs Payload Package, 3.31 Axle Ratio, NAVIGATION voice-activated navigation system, in-dash screen and SD card for map and POI storage and integrated SiriusXM Travel Link, NOTE: SiriusXM Travel Link available in the 48 contiguous United States and D.C, Subscriptions to all SiriusXM services are sold by SiriusXM, subscriptions are governed by SiriusXM Customer Agreement; see www.siriusxm.com.VEHICLE REVIEWSWhether it's an inexpensive basic work truck that can take a beating and still hold its value or a plush, horse trailer-hauling family vehicle you can be proud to take to any country club Approx. Original Base Sticker Price: $43,600*.Pricing analysis performed on 4/18/2019. Please confirm the accuracy of the included equipment by calling us prior to purchase. JUST REPRICED FROM $39,575, $8,700 below NADA Retail!, FUEL EFFICIENT 21 MPG Hwy/15 MPG City! NAV, Sunroof, Heated Leather Seats, Turbo, Alloy Wheels, Running Boards, Premium Sound System, 4x4, Heated Rear Seat, Tow Hitch CLICK ME!KEY FEATURES INCLUDENavigation, Heated Rear Seat, Running Boards, Premium Sound System, Satellite Radio. MP3 Player, 4x4, Aluminum Wheels, Privacy Glass, Keyless Entry.OPTION PACKAGESEQUIPMENT GROUP 701A LUXURY Adaptive Cruise Control & Collision Warning, brake support, Technology Package, Lane-Keeping System, 360 camera w/split-view display and dynamic hitch assist, Tailgate Step w/Tailgate Lift Assist, TWIN PANEL MOONROOF, ACTIVE PARK ASSIST, ENGINE: 3.5L V6 ECOBOOST, BLACK, BLACK UNIQUE MULTI-CONTOUR LEATHER BUCKET SEATS 4-way adjustable driver/passenger headrests, heated and cooled 10-way power (driver and passenger), memory (driver's side only), flow-through console and floor shifter. Ford Platinum with Tuxedo Black Metallic exterior and Black interior features a V6 Cylinder Engine with 365 HP at 5000 RPM*.VEHICLE REVIEWSEdmunds.com's review says Everything in the interior is ergonomically designed in such a way that there's a padded armrest exactly where you'd want it, and frequently used controls are located right where your hand would instinctively reach for it.. Great Gas Mileage: 21 MPG Hwy.A GREAT VALUEWas $39,575. This F-150 is priced $8,700 below NADA Retail. Approx. Original Base Sticker Price: $55,000*.WHY BUY FROM USBaxter Ford West Dodge, a full-service Ford dealership in Omaha, is your source for new Ford cars, trucksPricing analysis performed on 4/2/2019. Horsepower calculations based on trim engine configuration. Fuel economy calculations based on original manufacturer data for trim engine configuration. Please confirm the accuracy of the included equipment by calling us prior to purchase. JUST REPRICED FROM $29,996, EPA 23 MPG Hwy/17 MPG City!, $1,000 below NADA Retail! CARFAX 1-Owner. Trailer Hitch, Turbo Charged, 4x4, ENGINE: 2.7L V6 ECOBOOST, EQUIPMENT GROUP 101A MID, CLASS IV TRAILER HITCH RECEIVER CLICK NOW!KEY FEATURES INCLUDE4x4, Child Safety Locks, Electronic Stability Control, Brake Assist, 4-Wheel ABS.OPTION PACKAGESEQUIPMENT GROUP 101A MID 4.2 Productivity Screen in Instrument Cluster, compass, XL Power Equipment Group, Power Glass Sideview Mirrors w/Black Skull Caps, manual-folding, Power Door Locks, flip key and integrated key transmitter keyless-entry (includes Autolock), Illuminated Entry, Power Front & Rear Windows, Perimeter Alarm, Power Tailgate Lock, MyKey Owner controls feature, Radio: AM/FM Stereo/Single-CD Player, 6 speakers, SYNC, enhanced voice recognition communication and entertainment system, 911 assist, 4.2 LCD display in center stack, Applink and 1 smart charging USB port, DELETES auxiliary audio input jack, Cruise Control, STX APPEARANCE PACKAGE Fog Lamps, Rear Window Defroster, Wheels: 20 Machined-Aluminum, flash gray painted pockets, SYNC 3, enhanced voice recognition communications and entertainment system, 8 LCD capacitive touchscreen in center stack w/swipe capability, pinch-to-zoom capability included w/available voice-activated touchscreen navigation system, AppLink, 911 Assist, Apple CarPlay and Android Auto and 2 smart charging USB ports, Black Billet Style Grille w/Body-Color Surround, black mesh insert, Driver/Passenger Seat Back Map Pocket, Box Side Decal, STX Sport Box Decal, Manual Driver/Passenger Lumbar, Privacy Glass, Body-Color Front & Rear Bumpers, body-color front fascia, Tires: P275/55R20 BSW AT, 275/65R 18 OWL all-season/all-terrain spare tire Was $29,996.Pricing analysis performed on 4/22/2019. Fuel economy calculations based on original manufacturer data for trim engine configuration. Please confirm the accuracy of the included equipment by calling us prior to purchase. JUST REPRICED FROM $29,789, $1,700 below NADA Retail!, EPA 23 MPG Hwy/17 MPG City! XLT trim. Bluetooth, CD Player, Smart Device Integration, iPod/MP3 Input, ENGINE: 5.0L V8 FFV, Alloy Wheels, 4x4. AND MORE!KEY FEATURES INCLUDEiPod/MP3 Input, Bluetooth, CD Player, Smart Device Integration. MP3 Player, 4x4, Aluminum Wheels, Keyless Entry, Privacy Glass.OPTION PACKAGESENGINE: 5.0L V8 FFV 3.31 Axle Ratio, GVWR: 7,000 lbs Payload Package. Ford XLT with Magnetic Metallic exterior and Medium Earth Gray interior features a 8 Cylinder Engine with 385 HP at 5750 RPM*.EXPERTS ARE SAYINGEdmunds.com's review says Everything in the interior is ergonomically designed in such a way that there's a padded armrest exactly where you'd want it, and frequently used controls are located right where your hand would instinctively reach for it.. Great Gas Mileage: 23 MPG Hwy.A GREAT VALUEWas $29,789. This F-150 is priced $1,700 below NADA Retail. Approx. Original Base Sticker Price: $40,000*.VISIT US TODAYBaxter Ford South, a full-service Ford dealership in Omaha, is your source for new Ford cars, trucks, vans and SUVs both online and in our showroom. We also sell used vehicles and certified pre-owned Fords. At our 9203 South 145th Street (near Sapp Bros.) location, we also provide parts and auto repair service. We're part of Baxter Auto, the largest dealer group in Nebraska.Pricing analysis performed on 4/17/2019. Horsepower calculations based on trim engine configuration. Fuel economy calculations based on original manufacturer data for trim engine configuration. Please confirm the accuracy of the included equipment by calling us prior to purchase. FUEL EFFICIENT 21 MPG Hwy/15 MPG City! CARFAX 1-Owner, ONLY 59,859 Miles! Heated Leather Seats, Satellite Radio, 4x4, Fourth Passenger Door, Onboard Communications System, Turbo, FX APPEARANCE PKG, FX LUXURY PKG, Tow Hitch READ MORE!KEY FEATURES INCLUDESatellite Radio, Onboard Communications System, Trailer Hitch, Fourth Passenger Door 4x4, Aluminum Wheels, Keyless Entry, Electronic Stability Control.OPTION PACKAGESFX LUXURY PKG FX leather-trimmed heated/cooled front bucket seats, 10-way pwr driver & front passenger seats, driver memory, dual zone electronic automatic temp control (DEATC) air conditioning, black leather-wrapped steering wheel w/audio controls, pwr adjustable pedals w/memory, pwr heated pwr folding side mirrors w/turn signals/memory/drivers auto-dimming function/body-color skull caps, reverse sensing system, AM/FM stereo w/6-disc in-dash CD changer w/MP3 capability & aux audio input jack, speed compensated volume control, rear view camera, pwr sliding rear window w/privacy tint & defroster, remote start system, universal garage door opener, FX APPEARANCE PKG 4 black tubular running boards, flow-through console, painted A-gloss body-color wheel lip molding, unique fender & tailgate badging, unique finish on instrument panel, center-stack bezel, interior door trim & console top, unique grille w/body-color surround & accent insert, unique bodyside graphics, chrome single-tip exhaust, unique leather-trimmed front bucket seats w/6-way pwr driver seat, center console, unique steering wheel, unique 20 6-spoke black painted wheels, P275/55R20 all-season OWL tires, 3.5L V6 ECOBOOST ENGINE.EXPERTS RAVEApprox. Original Base Sticker Price: $40,500*.Pricing analysis performed on 4/17/2019. Fuel economy calculations based on original manufacturer data for trim engine configuration. Please confirm the accuracy of the included equipment by calling us prior to purchase. ONLY 51,161 Miles! WAS $25,996, $400 below NADA Retail!, FUEL EFFICIENT 21 MPG Hwy/15 MPG City! XLT trim. CD Player, iPod/MP3 Input, Onboard Communications System, Smart Device Integration, Fourth Passenger Door, 4x4, Hitch. CLICK NOW!KEY FEATURES INCLUDEiPod/MP3 Input, CD Player, Onboard Communications System, Fourth Passenger Door, Smart Device Integration. MP3 Player, 4x4, Privacy Glass, Keyless Entry.OPTION PACKAGESLUXURY EQUIPMENT GROUP pwr heated exterior mirrors w/integrated turn signals & driver side auto-dimming function, auto-dimming rearview mirror, 6-way pwr driver seat, pwr adjustable pedals, SiriusXM satellite radio, MyFord w/5-way steering wheel control switch, 4.2 LCD audio/climate control screen in center stack, 4.2 LCD productivity screen message center w/trip computer, leather-wrapped steering wheel, trailer tow pkg w/class IV trailer hitch receiver, 7-pin wiring harness, upgraded radiator, aux trans oil cooler, SelectShift auto trans, trailer brake controller, reverse sensing system, rearview camera, pwr sliding rear window w/defroster, chrome bar-style grille insert w/silver mesh, 5 chrome running boards, chrome door handles w/black bezels, chrome exhaust tip, chrome front tow, 3.5L V6 ECOBOOST ENGINE, STEEL GRAY, CLOTH 40/20/40 SPLIT BENCH FRONT SEAT. Ford XLT with Ingot Silver Metallic exterior and Steel Gray interior features a V6 Cylinder Engine with 360 HP at 5500 RPM*.EXPERTS ARE SAYINGGreat Gas Mileage: 21 MPG Hwy.A GREAT VALUEWas $25,996. This F-150 is priced $400 below NADA Retail. Approx. Original Base Sticker Price: $39,000*.WHO WE AREBaxter Ford West Dodge, a full-service Ford dealership in OmahaPricing analysis performed on 4/11/2019. Horsepower calculations based on trim engine configuration. Fuel economy calculations based on original manufacturer data for trim engine configuration. Please confirm the accuracy of the included equipment by calling us prior to purchase. EPA 21 MPG Hwy/15 MPG City! Satellite Radio, Running Boards, 4x4, Onboard Communications System, CD Player, iPod/MP3 Input, 20 PREMIUM PAINTED 6-SPOKE ALUMINUM.. MID EQUIPMENT GROUP, 3.5L V6 ECOBOOST ENGINE, Turbo Charged AND MORE!KEY FEATURES INCLUDERunning Boards, Satellite Radio, iPod/MP3 Input, CD Player, Onboard Communications System MP3 Player, Third Passenger Door, 4x4, Privacy Glass, Keyless Entry.OPTION PACKAGESMID EQUIPMENT GROUP pwr adjustable pedals, pwr-sliding rear window w/defroster, reverse sensing system, pwr heated exterior mirrors w/turn signal indicator & driver side self-dimming function, rearview camera, trailer brake controller, 3.5L V6 ECOBOOST ENGINE, 20 PREMIUM PAINTED 6-SPOKE ALUMINUM WHEELS. Ford FX4 with Ruby Red Metallic Tinted Clearcoat exterior and Black interior features a V6 Cylinder Engine with 360 HP at 5500 RPM*.EXPERTS RAVEEdmunds.com's review says America's top-selling pickup is offered in a substantial array of trims and powertrains to accommodate all manner of towing, hauling or off-road needs.. Great Gas Mileage: 21 MPG Hwy. Approx. Original Base Sticker Price: $42,100*.WHO WE AREBaxter Ford West Dodge, a full-service Ford dealership in Omaha, is your source for new Ford cars, trucks, vans and SUVs both online and in our showroom. We also sell used vehicles and certified pre-owned Fords. At our 18505 California Street (185th & Dodge) location, we also provide parts and auto repair service. We're part of Baxter Auto, the largest dealer group in Nebraska.Pricing analysis performed on 4/9/2019. Horsepower calculations based on trim engine configuration. Fuel economy calculations based on original manufacturer data for trim engine configuration. Please confirm the accuracy of the included equipment by calling us prior to purchase. Cruise around Nebraska in the reliable yet stylish car you need by purchasing a used vehicle today at Baxter Ford. Our Ford dealership in Elkhorn, NE, has a wide range of used cars, trucks, vans and SUVs so that every driver can find the right option for their lifestyle and budget. Buy a used Ford F-150 truck or finance a pre-owned Ford SUV or sedan. We also have Certified Pre-Owned Ford models and used cars under $10,000 so that no one is left short of options. 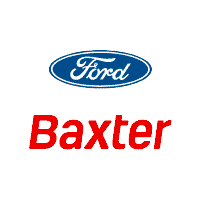 When you’re ready to buy your next car, come buy a used vehicle at Baxter Ford!